Cashier Stand ADA - G.A. 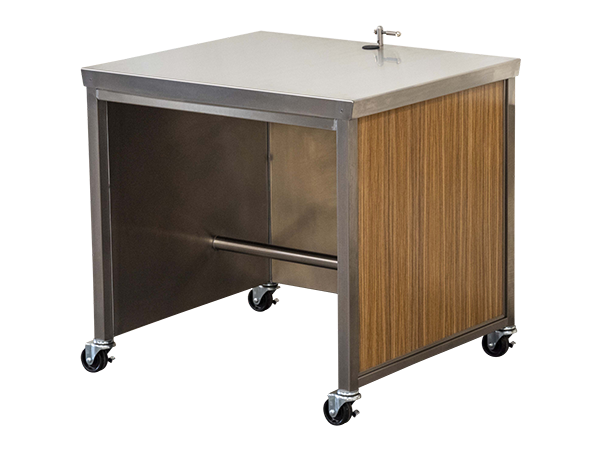 Systems, Inc.
Our “Speedee-Serv®” ADA Cashier Stand is just over 36” wide and has an open base for your disable employees to work comfortably. Plenty of space on top for your point of sale system and cash drawer. Grommet located on top and thru bottom base for easy access for point of sale cords. Bottom is open and the space will accommodate a disable working employee. 1-1/2″ Round Stainless Steel Foot Rest. A Condiment insert is a great way to have those late minute items right there for the customer to grab.